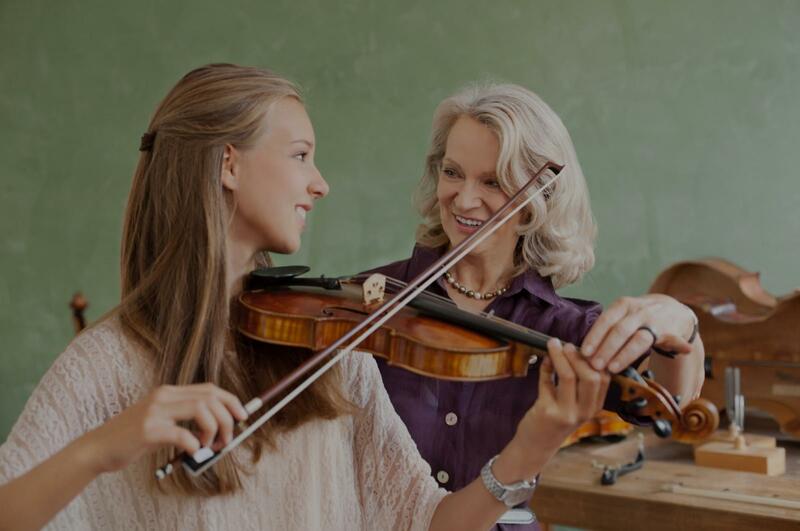 Sayreville, NJ Violin Lessons Near Me | Fun Classes. Top Tutors. Check out some of our most popular teachers near Sayreville, NJ including New York, Brooklyn, Bronx, Jersey City and Astoria. I currently teach students from beginner (pre-twinkle) to advanced levels! I am a very encouraging and engaging teacher who focuses on proper form and technique, while maintaining the student's interest and encouraging creativity. I incorporate both traditional and Suzuki methods and cater every lesson to the students individual needs and goals. There is never a dull moment in my lessons, I keep the student motivated and excited about leaning to play the violin! The violin is my passion and I enjoy teaching all ages the violin! Lessons are catered to every students personal goals and needs. Combining Suzuki and Traditional methods along with Etudes and scales will give the student a solid foundation on the violin. detail needed in deciding the appropriate violin and rental details! Marvet is the best teacher ever i just starterd few lesonss she Teach me so well , she is great ! So much patience for beginners like me! Great teacher to have! Music is an extraordinary language and a gift that enables us to be more complete human beings. It enables us to tell a story that transmits our thoughts, experiences, and feelings - all through the manipulation of sound and a deeper understanding of discovery, sincerity, and clarity. It is a process, but yields endless artistic growth. Mastering a musical instrument involves a balance of technique and expression: physical control and endurance versus individual creativity and fantasy. This process prepares one for performance, because as an art form, music centers on the interaction between the performer and the audience, but also prepares one for life. The skills learned in music lessons can be applied everyday. These skills include tenacity, improved work ethic, time-management, and organization skills. to help students understand technique, musicality, music theory, and historical context, and above all: fun. Making music should be fun, rewarding, and accessible to students of all ages! I have been playing viola and violin for 16 years and studied with Dr. Veronica Salas at LIU Post, George Taylor at the Eastman School of Music, Peter Slowik of Oberlin, Heather Weeks-Wesnofske, and Michael Vannoni. I was the 2012 winner of the LIU Post Concerto Competition and a frequent fellowship artist at the LIU Post Summer Chamber Music Festival. Currently situated in the Brooklyn, willing to travel to all of Manhattan, Brooklyn, Queens, and Long Island. Learn folk music or classical. Explore the various styles and genres this instrument is capable of! I teach beginner and intermediate violin students helping them develop their bow technique and intonation. I have over two decades of continuing professional performance experience in Classical solo violin, and have taught masterclasses in six continents. Though my expertise is in Classical violin, I draw from many influences, to many of which I was exposed in my tenure as the presenter of a TV program in Japan, "Untitled Music," the Guinness Book of World Records longest ever running Classical music show. There, I spoke and interviewed guests from many different genres in concert-style settings, as well as periodically performing with them. In my teaching, I stress efficiency of practice, musical authenticity, and open-mindedness. Jonathan Nott. Ryu has performed in many of the world’s most prestigious venues, including Carnegie Hall, Kennedy Center, Tokyo Suntory Hall, Sydney Opera House, Shanghai Grand Theater, Taipei National Concert Hall, Vienna Musikverein, Munich’s Herkulessaal and the Philharmonic Hall Gasteig. In January 2018 Ryu celebrated Bernstein’s 100th Anniversary playing his masterpiece “Serenade” with the NHK Symphony Orchestra, and in March he joins the New York Philharmonic touring Asia under the baton of Maestro Jaap van Zweden. Ryu’s philanthropic work includes working with student musicians throughout the world, mentoring their development and conducting master classes in conjunction with the world’s top institutions. Efforts include the “Ryu Excellence in Music Initiative Scholarship” with the NYC Department of Education, as well as collaborations with institutions such as the Juilliard School and the Harvard Bach Society Orchestra. He does extensive musical outreach in developing countries in Latin America, Southeast Asia and Africa. Ryu records for Deutsche Grammophon in collaboration with Universal Classics Japan. In May 2011 he graduated from Harvard University with a BA in Physics, and is currently studying the violin with Prof. Ana Chumachenco. A member of the US-Japan Council, Ryu has been honored with an award from the Japanese American Bar Association as a Japanese-American leader. He holds a 3rd degree black belt from the Japan Karate Association and the World Karate Federation, and is fluent in multiple languages including English, Japanese, French and Chinese. Ryu performs on the Stradivarius 1722 violin “Jupiter” on loan to him from Nippon Music Foundation. Disclaimer: I have cats! Must have minimum prerequisite experience of 7-10 years. Because of my sporadic touring schedule, I might not always be able to teach consistently. Therefore, if you're considering me, I highly suggest thinking of my lessons as supplementary. Mr. Ryu is the most amazing teacher I have ever met. He gave me good advice and his teaching is easy to understand. I highly recommend Ryu to you all! I began my interest on the violin at a young age, starting at six within my elementary school. As I grew older, I became enamored with the sound and craft of the instrument, putting my knowledge into it deeply as I wished to pursue it with reverent passion. I understand the difficulties and challenges facing those wishing to pursue the violin, from money to teaching accessibility. I've seen many a great talent give up due to this. I make learning flexible but fun; engaging but technical and most of all, understanding and tailored for the individual needs of the student. I specialize in string instrumentation and have a degree in music education, working towards my master's to give the gift of music to all, especially the realm of string instruments. It is so important to learn from a real professional. I am international soloist and pedagogue, having studied with the world's greatest teachers, Ivan Galamian, Dorothy DeLay, Josef Gingold, etc. international violin competitions winner. It is very easy to get faulty instruction at any stage of the development. Mine is of the highest of quality. I can teach from beginner to the most advanced. Have been teaching for 40+ years. My son has learned so much from him. The best violin teacher in NYC! Highly recommend. He is a very good teacher, he is very focused of the lesson, try to understand my individual problematic or desire and managed them. The best violin teacher I have ever seen, very thankful. Dr.Kim is a fantastic violinist, teacher and mentor for all levels of playing. Highly recommended! My name is Cedrick and I can't wait to meet you! I've been teaching private lessons since 2008 and have loved helping my students achieve their true potential and goals. I've played the violin for 23 years and I graduated from Felician University in 2013. I'm a enthusiastic, fun-loving person and my teaching style is tailored to the needs of my students. Can't find a teacher in Sayreville, NJ? New York, NY teacher: Ran T.
m in his first recital. He’s looking forward to another semester (and beyond) with her!" New York, NY teacher: Rachyl D.
rformance, improvisation, and composition. He is extremely fluent in teaching the language and vocabulary of jazz, gypsy jazz, funk, blues, fusion, and almost any other classical or contemporary idiom! I would definitely recommend him to any string player looking to take their artistry to the next level." New York, NY teacher: Tony B.
he was always accommodating with lessons if dates or times needed to be changed. I would highly recommend her for students of all ages and levels!" New York, NY teacher: Catherine W.
is stern when need be to make sure the children follow the rules which is so necessary. She is an amazing teacher, and I highly recommend her to all!" "Great artist and a teacher. My 6 year old enjoys her lessons and I love her down to earth vibe." but he was able to keep them engaged and interested for the full hour. Both kids cannot wait to go back and my son even asked me why his lesson is only once a week!" New York, NY teacher: Yakov D.
"We met Mary-Elizabeth for the first time in January 2009 by recommendation of The Royal Danish Academy of Music. cher for my daughter Elisabeth, age 13, who at that time had never played an instrument before and was clearly shy and nervous about the project. From the very first lesson, Mary-Elizabeth not only showed the skills and the basic technique of teaching the violin to younger children, but most impressing was her enthusiasme and joy that immidiately spread to the student. You could tell, that this was a teacher who loved playing too!! And that opened all the doors for the difficult practising and today I have a daughter who enjoys so much playing that she brings the violin on every holiday to make sure she always has the instrument nearby! I can sincerely recommend Mary-Elizabeth for teaching and I guarantee you, the students will love playing and look foreward to her lessons!" New York, NY teacher: Mary E H.